Birmingham has a long established reputation as a multicultural city. From the beginning of the Industrial Revolution the city has attracted large numbers of immigrants; from English rural communities to large numbers of Irish, Afro-Caribbean and Asians. This has undeniably impacted on the music that has originated from the city. Folk, Reggae and Bhangra/Asian Fusion are all examples of scenes that became prominent forms of expression for those communities. It is clear as well that music has played a central role in self expression and has articulated the concerns of communities. One only has to look at Steel Pulse and their seminal Handsworth Revolution album to see this. Music has also played an integral part in communities combining and uniting whether it be through school friendships or because of social and/or political issues. One only has to look to bands such as UB40, The Beat and Swami or the reggae and punk communities of the late 70’s and their response to increased National Front activity in Handsworth, the ‘Summer of Love’ when youth from disparate communities forgot their differences and united under the acid house scene. Birmingham has a rich but largely ignored musical history. Made In Birmingham – Reggae Punk Bhangra explores the social, political and cultural issues that gave rise to music emanating from the city using rare archive footage and interviews to shed new insight into the city and its music. Reggae, Punk and Bhangra musicians from the UK city of Birmingham discuss their distinctive musical styles and reflect on how music has played its own role in fostering a new sense of collective identity in the city. Including interviews and archives from Steel Pulse, UB40, Swami, Au Pairs and Nightingales. The film has had a brilliant reception, playing to over 35,000 people at the ‘plig in’ exhibition and at selected cinemas across the cinema. It has also been chosen to screen at International Film Festivals with the latest one at NXNE in Toronto, Canada. 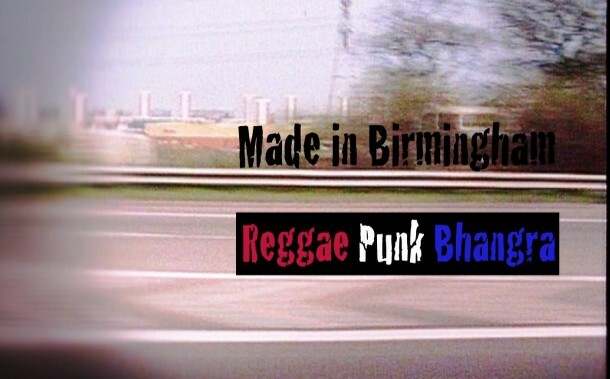 Title Sequence from Made In BHAM Reggae Punk Bhangra on Vimeo.